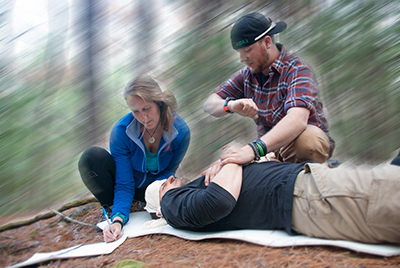 If you work or recreate in the outdoors or in the austere environments where access to medical care is delayed or communication is unreliable, this 7 day SOLO Wilderness First Responder course is for you! It is the industry standard for professional guides, trip leaders, search and rescue team members, outdoor recreationists, and international travelers. 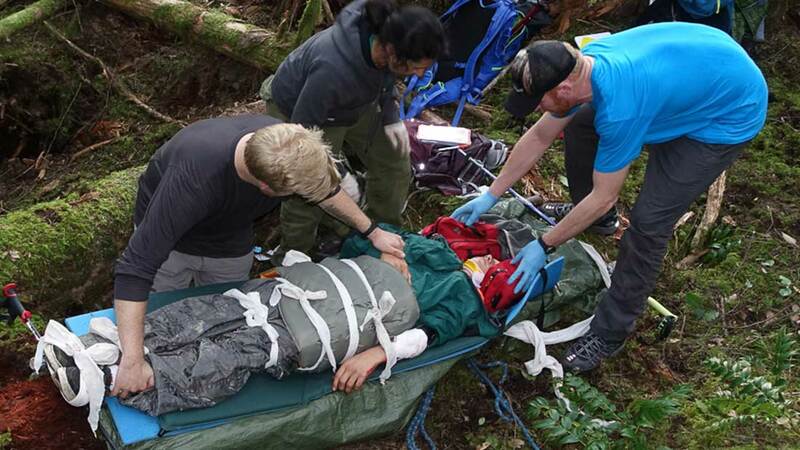 Upon completion, you will be able to conduct a thorough physical exam, obtain a patient history, assess vital signs, provide emergency care in the wilderness, and make crucial evacuation decisions. You will learn both in the classroom and in outdoor settings regardless of weather, so come prepared for wet, muddy, cold, or hot environments! March 17th2019 (Sunday)—March 23rd2019 (Saturday). Outward Bound Croatia Center in Veliki Žitnik (near Gospić) in Croatia. 08.30 – 17.00 each day with one 3–4 hour evening session. The WFR is 72+ hours long and is a comprehensive and in-depth look at the standards and skills of dealing with: Response and Assessment, Musculoskeletal Injuries, Environmental Emergencies and Survival Skills, Soft Tissue Injuries, and Medical Emergencies. Although these appear to be the same basic topics covered in two-day WFA course, they are covered far more extensively, and there is much more hands-on practice. 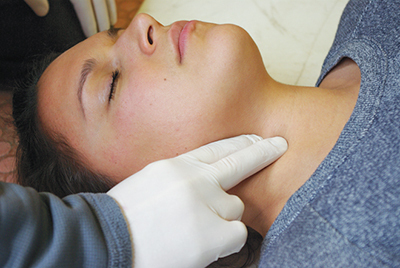 Additional topics, such as CPR, are also included. €600 without meals and lodging. All meals and lodging can be provided for additional €190. There is ongoing evaluation of practical skills, and a written test. The course will be held by highly competent and experienced Mr. Todd A. Johnstone – Wrightand Mr. Charles Kirkland, SOLO International Director. Yes. Your SOLO WFR certification is good for three years. 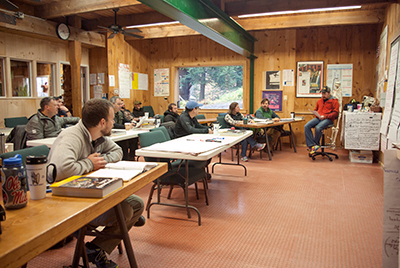 You may take either a 2-day WFR Refresher Course or a 2-day WFA course. This is the didactic part of our training, the traditional setting where the instructor stands before the students and gives lectures,presentations, and demonstrations, writes on chalkboards or white boards, and sometimes shows videos or PowerPoint presentations. Student participation is greatly encouraged and there is always time for lively Q & A. Hours at a desk is wearying—we punctuate the time with ample breaks. Time is set aside during each day for the practice of specific skills—assessing a patient, building a splint, improvising a litter, etc. Typically, students break up into pairs or small groups to work on the chosen skill until everyone feels confident and comfortable. A lot of peer-to-peer learning goes on, and the instructor(s) are always rotating among the groups to offer insights, tips, and encouragement. We believe inhands-on training! One thing that sets our training apart is the frequent use of realistic, often dramatic, medical emergencies set up as real-life scenarios. We use the same makeup and props that Hollywood uses to make wilderness accidents look realistic as we create mock emergencies. Fake blood, broken bones, and student-coaching create scenes that look and feel very real—it’s a great learning environment. All students get a chance to be both patients and caregivers. 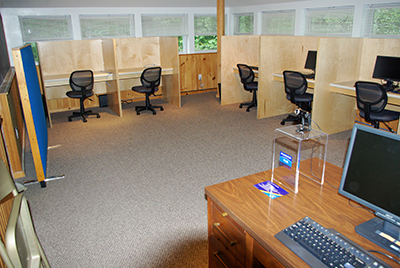 Formal assessment is part of all education, and most of our classes involve testing of some kind, from as basic as the chance to demonstrate learned skills at the end of a session, to group scenario exams, to formal written tests, and even computer-based testing (for advanced certifications). We do our best to adequately prepare our students for any testing and try to make the process as stress-free as possible. We have an excellent pass rate on all exams.